Allusions to temple themes can be found throughout the scriptures, but it is not always easy to recognize them. 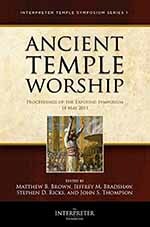 Efforts have been made to bridge this gap through books that explain the meaning of specific symbols used in scripture and temple worship. However, most of us not only struggle with the meaning of individual concepts and symbols, but also—and perhaps more crucially—in understanding how these concepts and symbols fit together as a whole system. The symbols and concepts of the temple are best understood, not in isolation, but within the full context of temple teachings to which they belong. My purpose is to explore ancient and modern perspectives that seem to shed light on the meaning and significance of LDS scripture and temple worship. Michael Gunson is organizing the next Santa Barbara Temple Studies Symposium. Jeff has been inited to join Wendy Ulrich at this event. BYU Professor Stephen D. Ricks is organizing the next Temple on Mount Zion Conference. As usual this promises to be an inspiring and informative event. Jeff has been invited to give a presentation at a B’nai Shalom Fireside. The event is open to the public. When: Saturday, September 29, 2018. Event begins at 6:00 pm, presentation begins at about 7:15 pm. At the invitation of Meridian Magazine, I’ll be writing a weekly series on personal study questions relating to each week’s Gospel Doctrine Old Testament lesson topic. Taking a cue from Book of Mormon Central’s superb Book of Mormon KnoWhy series (Link) these brief essays each address the details of a specific question (“Know”) and then conclude with a view on its significance (“Why”). You can find them at Meridian or here on the publications page. 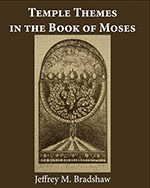 I’m very happy to see Matthew L. Bowen’s collection of essays on wordplay in the Book of Mormon reach the final stages of publication. His essays stimulated my thinking in this Foreword on translation and interpretation as they relate to the mission of the Prophet Joseph Smith and our challenging role as readers of the challenging riches of modern scripture. This volume of Matt’s groundbreaking research is destined to become a classic. 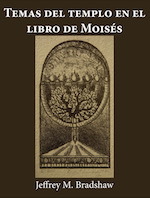 Bradshaw, Jeffrey M. and Bowen, Matthew L. “By the Blood Ye Are Sanctified”: The Symbolic, Salvific, Interrelated, Additive, Retrospective, and Anticipatory Nature of the Ordinances of Spiritual Rebirth in John 3 and Moses 6. Interpreter: A Journal of Mormon Scripture 24, 24 March 2017, pp. 123–315. Link PDF PDF (Finnish translation by Pertti Felin) PDF (Finnish endnotes) Video Audio. Also to appear in Stephen D. Ricks, ed. 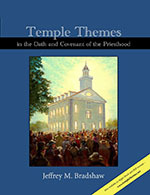 Proceedings of the 2016 Temple on Mount Zion Symposium. Temple on Mount Zion Series 4. Salt Lake City: The Interpreter Foundation and Eborn Books, 2017, in preparation. 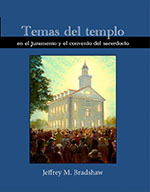 Bradshaw, Jeffrey M. Temple Themes in the Keys and Symbols of the Priesthood. Orem and Salt Lake City, UT: The Interpreter Foundation and Eborn Books, in preparation. 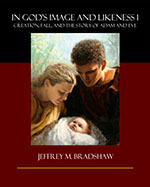 Bradshaw, Jeffrey M. The future isn’t what it used to be: Artificial Intelligence meets natural stupidity. 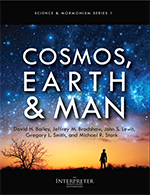 In Bradshaw, Jeffrey M. and David H. Bailey, eds. Body, Brain, Mind, and Spirit. Science and Mormonism Series 2. Orem and Salt Lake City, UT: The Interpreter Foundation and Eborn Books, in preparation. 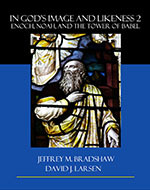 Bradshaw, Jeffrey M. “A church with one member”: The religious art of James T. Harwood, in preparation. Feel free to leave feedback for the author to let him know your thoughts!